Officials at the 2018 Pyeonchang Winter Olympics have occurred that a cyber attack hit the games, taking its website as well as TV and internet access at its main press center offline, the Guardian reported. “We are taking secure operations and, in line with best practice, we’re not going to comment on the issue because it is an issue that we are dealing with,” he said. The International Olympic Committee’s head of communications, Mark Adams, told the paper that no information about the alleged cyber attack would be made public right now but that there will eventually be a report on the incident. While the competition’s location just 50 miles (80 kilometers) from the North Korean border has spurred some questions as to whether that government could be to blame, Reuters reported the Russian government has already been proactive denying responsibility for any cyber attacks. In any case, the reported attack does not seem to have been particularly serious and the Olympics are regularly targeted for similar shenanigans. According to the Times, hackers that seem to have nation-state backing (hmm) have been attacking the games’ computer systems for weeks looking for compromising information on Olympic officials. 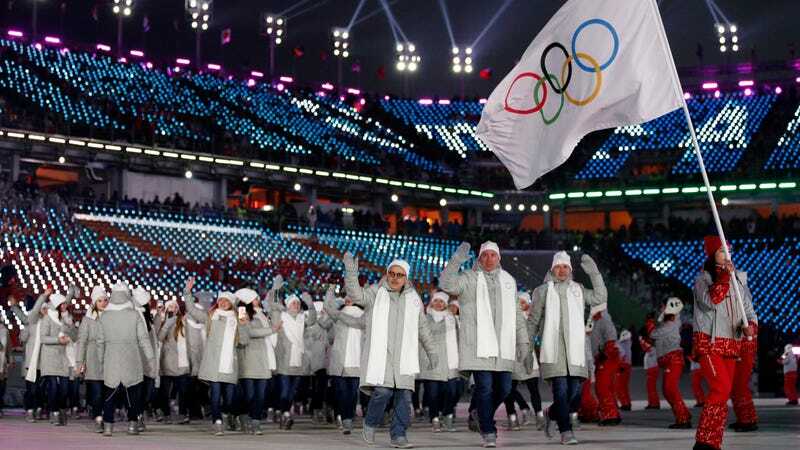 But in 2014 in Sochi, the committee took serious measures to guard against garden-variety cyber criminals looking to abscond with anything they could steal from the thousands of international visitors in attendance, something that has been happening for years and will probably never cease regardless of where the games are held.